An oil painting demo by Lynne Fearman will be held on Monday, Feb. 18, at the meeting of the Santa Clarita Artists Association (SCAA). 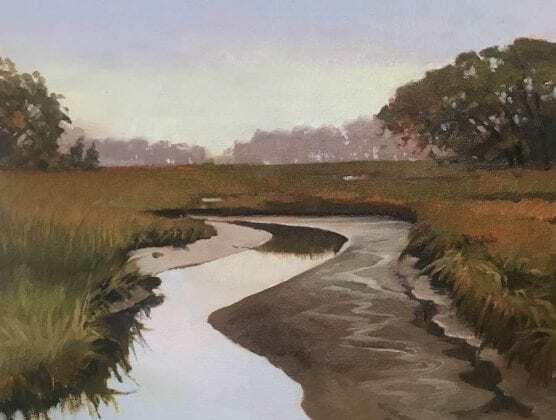 A professional artist for over 30 years, Fearman in 2018 won the Award of Excellence at the National Oil Painters of America Convention during the “Wet Painting” competition. She received the Grand Prize for the Los Angeles Plein Air Festival and was invited to participate in the Washington state Plein Air Festival, “Paint the Peninsula!” Fearman is an active member of Mid-Valley Arts League, (president from 2006-2008), California Art Club, California Plein Air Painters, Oil Painters of America, and American Impressionist Society. She is the location master for the Thursdays En Plein Air group in the San Gabriel Valley. For more information, visit www.LynneFearman.com. Come early, standing room only by 6:30 p.m. See www.SantaClaritaArtists.org. Purple Haze by Lynne Fearman. Cucamonga Mornings by Lynne Fearman.